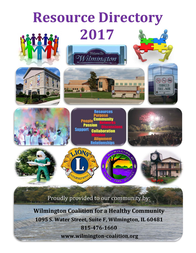 The Wilmington Coalition for a Healthy Community (WCHC) participates in the National Prescription Drug Takeback Days organized by the federal Drug Enforcement Administration. The coalition is diverting a growing amount of unwanted medication, including prescription painkillers. Approximately, 17 pounds were brought in during the October 2016 event, followed by over 200 pounds at the April 2017 event. The Wilmington Police Department and City of Wilmington are key partners in the takeback events, along with youth and adult volunteers. Police officers oversee the collection and provide the vital step of transporting the unwanted medications to a safe disposal facility. 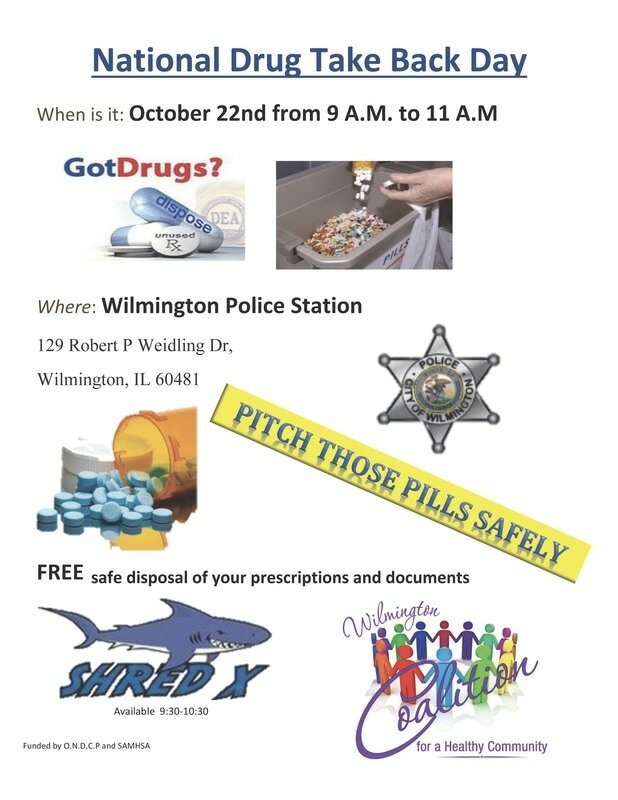 Unwanted medications can also be disposed of all year round at the bin located at the entrance of the Wilmington Police Station, 129 Robert P. Weidling Drive, Wilmington, Illinois.